Authentic Islamic Education in Western Pennsylvania. Quran & Sunnah upon the way of the Salaf. Warning from deviant groups (MB, ISIS, Qaeda) upon guidance from the senior scholars. Be Afraid of Polytheism for Real! Our weekly class from the book, al-Minhat ar-Rabbaaniyyah, the Explanation of an-Nawawi's 40 Hadeeth by the noble shaykh, al-'Allaamah Saalih Ibn Fowzaan al-Fowzaan. The book is read by our brother Aboo 'Abdil-Fattaah Salaah Brooks and explained by our brother Ustaadh Abul-'Abbaas Moosaa Richardson. Salaah Brooks reads the text of the classic Muqaddimah (Introduction) of Imaam Ibn Abee Zayd al-Qayrawaanee. Moosaa Richardson explains. This original series of Islamic classes took place ... See More at al-Masjid al-Awwal in Pittsburgh, Pennsylvania (USA) in the year 1437. A weekend workshop focused on the study of the classic 34-line "Bayqooniyyah" Poem in Hadeeth Terminology. A series of lectures detailing the life, works, struggle, and call of the late scholar of Yemen, Shaykh Muqbil ibn Haadee al-Waadi'ee, may Allaah have Mercy on him, as presented by an American student of the shaykh, Ustadh Abul-Hasan Malik Akhdar. This series of lectures was held at Masjid al-Awwal in the city of Pittsburgh, ... See More Pennsylvania (USA) on 1438.01.14 and 1438.01.15, which corresponds to October 14 and 15, 2016. Questions answered by the scholars, translated into English, sometimes with additional commentary on the topic by Moosaa Richardson. A crash course on the rulings of fasting just before Ramadhaan 1439 at al-Masjid al-Awwal in Pittsburgh, Pennsylvania (USA). Taught by Moosaa Richardson. Friday sermons (khutab) given at al-Masjid al-Awwal (The First Muslim Mosque) in Pittsburgh, Pennsylvania. A series of classes by Moosaa Richardson providing essential guidelines from the Prophet's hadeeth literature (may Allaah raise his rank and grant him peace) for parents and educators. From the 2017 National Salafi Conference held at Masjid at-Tawheed in Cardiff, Wales (UK). Brief clips which highlight an important reminder, a tidbit of knowledge, or other interesting benefits. Recorded in the last ten days of Ramadhaan 1434 as broadcasts for TROID.ca Radio. Moosaa Richardson's lessons from Saheeh al-Bukhaaree: Kitaab ad-Da'awaat, from the 4th "Back to Basics" Conference in Philadelphia, Pennsylvania (USA), held in Rabee' al-Awwal, 1438. This course is a study of the book, Obstacles in the Path of Eemaan (Faith), by Shaykh 'Abdur-Rahmaan ibn Naasir as-Sa'dee. Taught by: Moosaa Richardson. Recorded at al-Masjid al-Awwal in Pittsburgh, Pennsylvania (USA) in 1437. Back to the basics in Islamic beliefs! This weekly class is a reading and explanation of the book, "Essential Questions and Answers Concerning the Foundations of Eemaan," by Shaykh 'Abdur-Rahmaan as-Sa'dee (d.1376). Moosaa Richardson reads the text and offers an easy-to-follow explanation suitable for Muslims of all ... See More levels of Islamic education, by the Permission of Allaah. 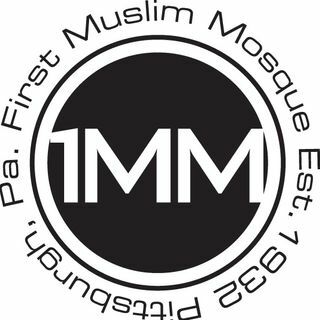 Classes recorded at al-Masjid al-Awwal in Pittsburgh, Pennsylvania (USA). These are the daily lessons studied at al-Masjid al-Awwal (the First Muslim Mosque) in Pittsburgh, Pennsylvania, in Ramadhaan 1439, taught by Moosaa Richardson (@1MMeducation). Get the workbook and follow along with the recordings whenever its easy for you. Lessons and lectures on the Prophetic Seerah (biography). Brief sessions of Tafseer (Quranic explanations) taught by Moosaa Richardson in Ramadhaan of 1438 (2017). Moosaa Richardson reads the Tafseer (Quranic Explanation) of Imaam 'Abdur-Rahmaan ibn Naasir as-Sa'dee (may Allaah have Mercy on him) for Soorah al-'Ankaboot. These classes were tele-links with Masjid al-Furqaan (TROID) in Toronto, Canada, which began in 1439. Moosaa Richardson explains Soorah an-Naba', the 78th chapter of the Quran, and helps us understand the language and structure of its amazing Verses. He includes selected points of explanation from great scholars of Tafseer like al-Baghawee, Ibn Katheer, as-Sa'dee, and Ibn 'Uthaymeen. A series of short daily lessons in ... See More Tafseer, from our special Ramadhan 1437 classes. Recorded at al-Masjid al-Awwal in Pittsburgh, Pennsylvania (USA) in the month of Ramadhaan 1437. Moosaa Richardson reads the Tafseer of the great scholar, Imaam 'Abdur-Rahmaan ibn Naasir as-Sa'dee, for Soorah ar-Room. TROID classes 1439. Moosaa Richardson reads the Tafseer (Quranic Exegesis) of Imaam 'Abdur-Rahmaan ibn Naasir as-Sa'dee (may Allaah have Mercy on him) for Soorah ash-Shu'araa', the 26th chapter of the Quran. This is a weekly class hosted by TROID.ca in Toronto, Ontario, which started in Thul-Qi'dah 1437. Moosaa Richardson reads the tafseer of Shaykh Muhammad ibn Saalih al-'Uthaymeen (may Allaah have Mercy on him) for Soorah Qaaf in eight sessions at al-Masjid al-Awwal in Pittsburgh, Pennsylvania (USA) in 1437. The book, al-Qawaa'id al-Arba', read and translated by Salaah Brooks, supervised and explained by Moosaa Richardson, at al-Masjid al-Awwal in the city of Pittsburgh, Pennsylvania (USA) in 1437. From the 1438 (2017) TROID Summer Courses in Toronto, Canada. A four-part explanation of the Laamiyyah Poem attributed to Shaykh al-Islaam Ibn Taymiyyah, recorded at Masjid ad-Da'wah in Baltimore and Masjid Ahl al-Quran wal-Hadeeth in Washington, DC. Moosaa Richardson reads the explanation of Shaykh Ahmad ibn Yahyaa an-Najmee (may Allaah have Mercy on him) for the Laamiyyah Poem attributed to Shaykh al-Islaam Ibn Taymiyah (may Allaah have Mercy on him). This short series of three classes was recorded during the summer conference at Masjid as-Sunnah an-Nabawiyyah in Philadelphia, ... See More Pennsylvania (USA), held from the 16th to the 19th of Thul-Qid'ah, 1437. Moosaa Richardson introduces and reads the classic text of al-Usool ath-Thalaathah (the Three Fundamental Principles), by Shaykh al-Islaam Muhammad ibn 'Abdil-Wahhaab (may Allaah have Mercy on him). He also reads the explanatory notes of the great scholar, Shaykh Muhammad ibn Saalih al-'Uthaymeen (may Allaah have Mercy on him), ... See More and adds additional commentary. This is course is hosted and sponsored by the Tarbiyah Initiative of South Florida. A recurring series of lectures by Moosaa Richardson on the explanation of Usoolus-Sunnah of Imaam Ahmad held in rotating venues; namely al-Masjid al-Awwal of Pittsburgh, PA, and Masjid as-Sahaabah, Columbus, OH. Various topics and points of benefit of interest to Muslim sisters.